Where should I celebrate St. Patrick's Day in Edmonton AB? Where should I celebrate St. Patrick’s Day in Edmonton AB? With the beginning of March only a couple of days away, St. Patrick’s Day is just around the corner! This year it takes place on Thursday March 17th, and while you might spend most that day paying homage to the Irish tradition by drinking green beer listening to the bagpipes, we’ve got some great places where you could celebrate St. Patrick’s Day in Edmonton AB on other days. Three events taking place on the weekends before and after the events, to be precise. The first event that you could attend takes place on March 13th, the Sunday before St. Paddy’s day. The St. Patrick’s Day Trail Run consists of for different runs or walks, each ranging from $40-55 depending on age and time of registration. The races are either 5k or 10k, starting between 9:30 a.m. and 10:15 a.m. There are plenty of goodies, post-race events and more for participants, so you don’t want to miss this chance to both celebrate the holiday and stay active! If you’d prefer to celebrate after (or, don’t hesitate to attend all of the events! ), then you can head to the South East Edmonton Seniors Association for a St. Patrick’s Day Spoon Tournament at 6:00 p.m. on March 18th. Spoons is a fun card game, and all proceeds for the event go to providing support to the caregivers that take care of the elderly and disabled. Tickets are $30, include dinner, dessert and your entry into the tournament, and you could win a prize for either coming in first place, having the lowest score or being dressed in the best St. Paddy’s Day attire. 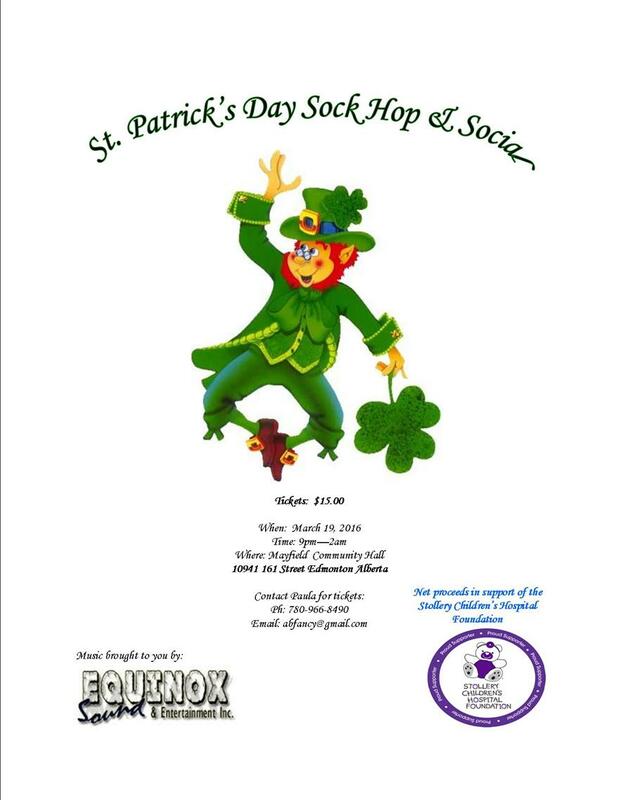 Lastly, for $15, you could attend the St. Patrick’s Day Sock Hop & Social at the Mayfield Community Hall on March 19th, from 9:00 p.m. to 2:00 a.m. Music will be provided by Equinox Sound, while all proceeds support the Stollery Children’s Hospital Foundation. No matter how you decided to celebrate St. Patrick’s Day, everyone here at Go Toyota on the Trail simply hopes that you enjoy your holiday! Happy St. Paddy’s Day from us to you!